What’s Myeloma Got to Handle in 2016? Multiple myeloma stands first compared to other cancers, in terms of progress in research and development of new drugs to fight the disease. As we move into 2016, this disease may have a tough time wading through the armamentarium of #new therapies and drugs that are being developed. With the speedy FDA approval of 3 drugs Darzalex, Ninlaro, and Emplicti, in November 2015, the myeloma community now has 10 treatments available to fight the malignant plasma cells and hopes to improve their prognosis and quality of life even more. Although the new drugs are very expensive and far from reach of the low income community, costing somewhere around $10,000 to $14,000 per month, these drugs will help prolong the lives of those myeloma patients who have relapsed after treatment with other previously available drug combinations. 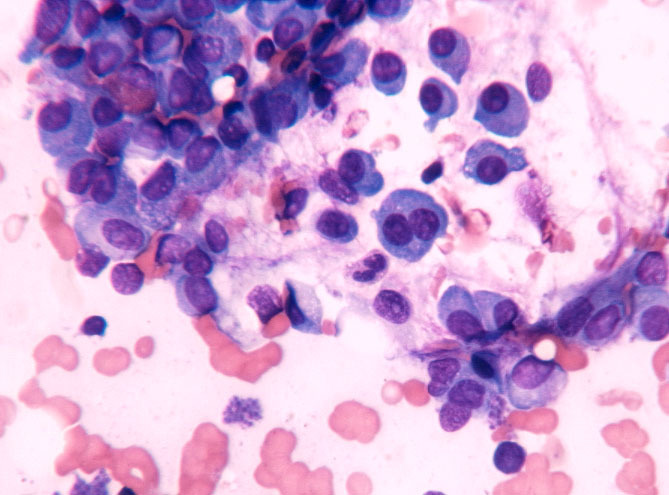 The average survival of patients diagnosed with myeloma has now increased to 7 years after diagnosis as compared to 3 years about a decade ago. As these new therapies change the therapeutic landscape of multiple myeloma, at the same time they do add to the complexity and pose an additional challenge for the specialists, who have to be very cautious in deciding which combination to be prescribed to which category of myeloma patients, to maximize efficacy and minimize toxicity. Curetalk’s myeloma panel talked to Ann Quinn Young to learn about further developments in myeloma research at MMRF, a nonprofit foundation and largest private funder of multiple myeloma research, which aided the development of all three drugs approved by FDA in November.